Scientists have developed new technology that uses nuclear waste to generate electricity in a nuclear-powered battery. A team of physicists and chemists from the University of Bristol have grown a man-made diamond that, when placed in a radioactive field, is able to generate a small electrical current. The development could solve some of the problems of nuclear waste, clean electricity generation and battery life. Unlike most of electricity-generation technologies, which use energy to move a magnet through a coil of wire to generate a current, the man-made diamond is able to produce a charge simply by being placed in close proximity to a radioactive source. The team demonstrated a prototype ‘diamond battery’ using Nickel-63 as the radiation source on November 25. However, they are now working to significantly improve efficiency by utilising carbon-14, a radioactive version of carbon. 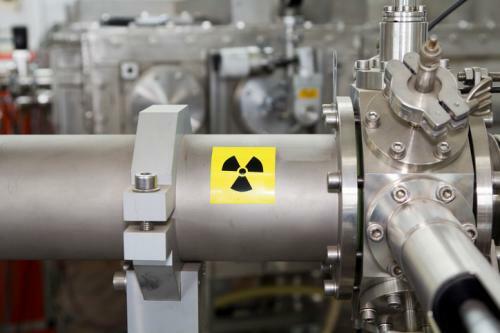 Research by academics at Bristol has shown that the radioactive carbon-14 is concentrated at the surface of these blocks, making it possible to process it to remove the majority of the radioactive material. The extracted carbon-14 is then incorporated into a diamond to produce a nuclear-powered battery. The UK currently holds almost 95,000 tonnes of graphite blocks and by extracting carbon-14 from them, their radioactivity decreases, reducing the cost and challenge of safely storing this nuclear waste. While these batteries are low power in nature, their lifetime compensates for it. Using carbon-14 the battery would take 5,730 years to reach 50 per cent power, which is about as long as human civilisation has existed.